Pop Up Screen are showing many classic Christmas movies over December from Elf to Home Alone. You will wonder into a magical Pop Up Screen experience upon stepping through a wardrobe. You will feel like you have been transported into Narnia with snow galore. So if you want a Christmas feel and a old classic Christmas movie then you will most certainly find it at Pop Up Screen. 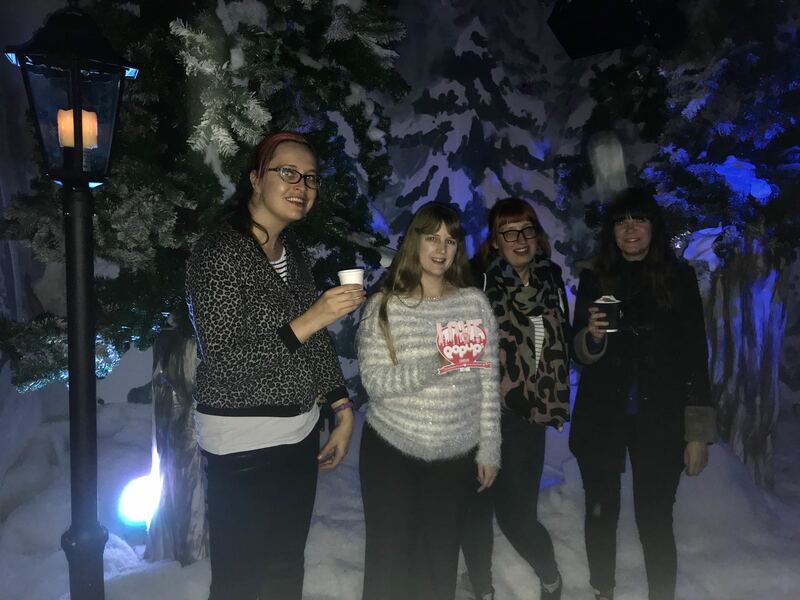 Thanks to Pop Up Screen who let some of the members of Love Pop Ups London community come down to experience their magical themed cinema. Read all blogs/reviews from the comments section from below. Ever fancied watching your favourite Christmas film in the snow? Pop Up Screens have you covered, literally, in it!